Special Notes: • .obj format is recommended for import in other 3d software. If your software doesn’t support .obj format, please use .3ds format; .obj format was exported from 3dsmax. The geometry for .obj format is set to quads • .max files can be loaded in 3dsmax 7.0 or higher. Product’s History: Bajaj Auto is a major Indian vehicle manufacturer started by Jamnalal Bajaj from Rajasthan in the 1930s. 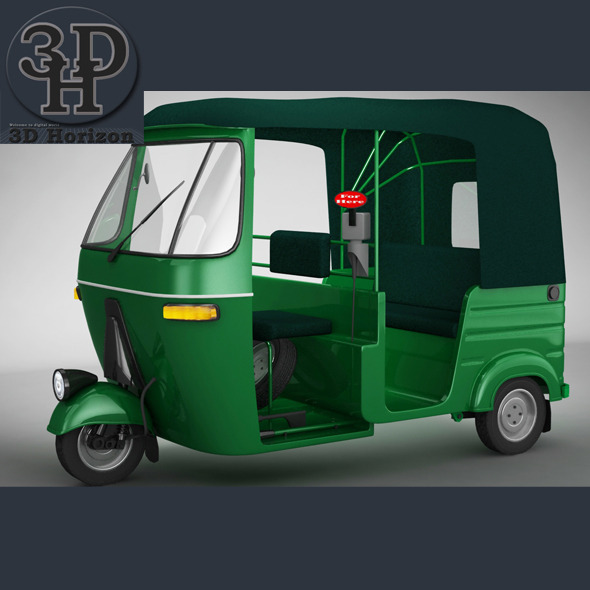 This is India’s first four-stroke three wheeler auto rickshaw build in 1998. And it is a very common public transport in most of the south Asian country.